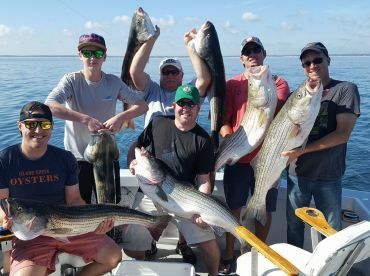 Hyannis deep sea fishing is a tale of extremes. 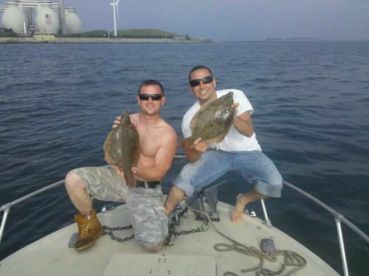 Some of the town’s best big game action is under an hour’s cruise away, with Bluefin Tuna being caught just a few miles from land. 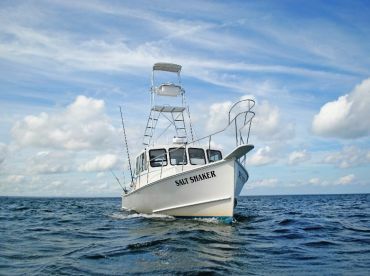 If you’re determined to catch the biggest fish in the ocean, though, you can head over 100 miles out to the very edge of the continental shelf. Whatever you’re after you’ll find it here, with an experienced captain and a great boat to match. Hyannis’ main big game species are Tuna and Sharks. The first Bluefin Tuna show up towards the end of June, and can be caught well into November. With the Sharks, it depends on the species, but the late summer months are your best bet. By this time, the waters have warmed up enough to support a range of species. Bluefin Tuna fishing is serious business in Cape Cod, and is also a serious draw for vacationing tourists. Why? Because you can enjoy reel-shredding action without the long travel times. The famous waters of Stellwagen Bank may be on the other side of the cape, but there are plenty of local spots which are even better in late summer. 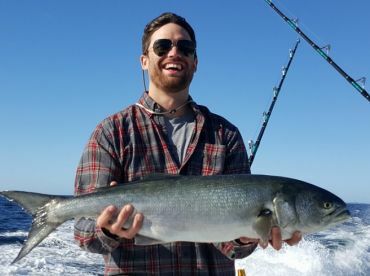 Most of the area’s Bluefin weigh in between 50 and 100 pounds, but the state record was set by a staggering 1,228-pound giant, so who knows what you might find. 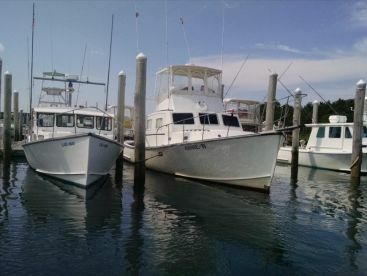 One of the best things about Shark fishing trips out of Hyannis is that there are so many species to choose from. 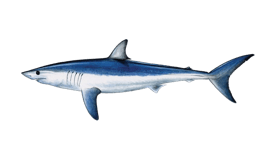 Blue, Mako, Thresher, and Porbeagle Sharks can be reliably caught offshore. Recent years have also seen an explosion in the number of Great Whites, probably drawn by the area’s large numbers of seals. You can find Sharks in many of the same spots as Tuna, but with such easy access to open ocean, it’s well worth a long journey to find the biggest fish. 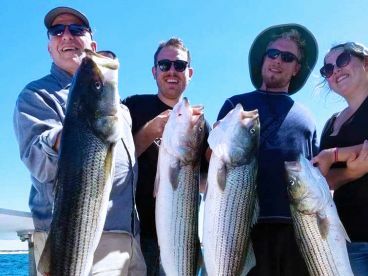 Hyannis deep sea fishing trips cost around $100-$150 per hour, which is really pretty cheap when you think about it. Tuna trips start at eight hours and can often last 10 or 12. Pelagic Shark fishing trips run for 12 hours minimum, taking you way offshore for the fight of your life. You can catch Tuna in any of a dozen ways, but the local favorites are trolling and jigging. Soft plastic and metal jigs are both used with devastating effectiveness by local charter captains, and trolling for Tuna is a worldwide sensation. 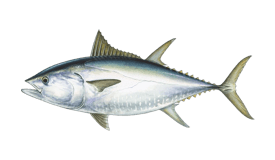 In general, smaller Tuna are caught on the surface, using medium-light spinning tackle or with rigged bait trolled on spreader bars. 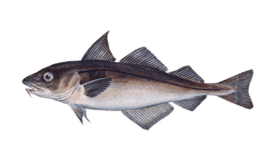 Bigger fish are often marked on the fishfinder a couple of hundred feet down, then targeted with heavy jigging rods. 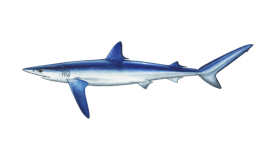 Shark fishing usually focuses on chumming or chunking, counting on the fish’s bloodlust and alpha-predator confidence to get them close to the boat. Cape Cod guides aren’t trying to re-invent the wheel. They know how to attract Sharks, and they know you need the heaviest tackle and the thickest wire leaders to bring them to the boat. 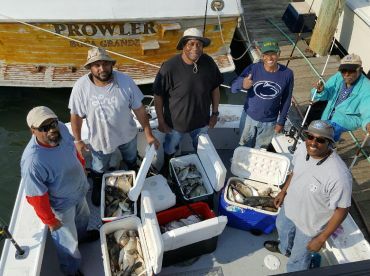 You’ll need to buy a saltwater fishing license before you can enjoy the town’s awesome big game action. Buy these online or from local approved vendors. Tuna lovers should bear in mind monster Bluefin (fish over seven feet long) will stay with the boat. 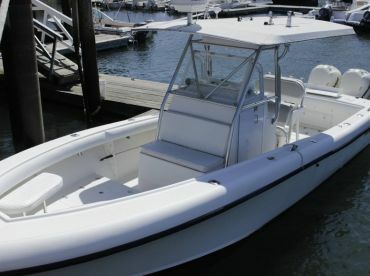 Lastly, you may not need to head far to find Tuna, but the waters around Hyannis can always be rough - if you suffer from seasickness, take sensible precautions to make sure you enjoy your trip.